Gillingham have signed Adam Birchall on a three-year deal from non-league Dover Athletic for an undisclosed fee. The 26-year-old striker scored 45 goals last season, including one against Gillingham in the FA Cup first round. 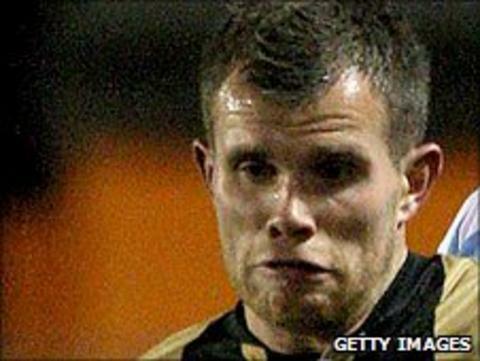 He turned down offers from Swindon Town and AFC Wimbledon before rejoining Andy Hessenthaler who signed him at Dover. Dover chairman Jim Parmenter told the club's website: "Adam showed a desire to go to Gillingham and our agreement let him talk to League clubs." It leaves Dover boss Martin Hayes with just four and a half weeks to find a replacement, something he says will not be easy. He told BBC Radio Kent: "It's obvious from the last week Adam expressed more of an interest to leave. Some good clubs came in for him so it was a question of when, not if." "It's not as much as we wanted. We agreed a deal with Swindon that was probably less than we wanted but gave him a good opportunity. When he turned that down, others came in. I thought he was worth more, but it doesn't really help. You're not going to find another one [like him] on the shelf." Birchall's signing takes to eight the number of new players to arrive at Gillingham this summer.